Welcome to 2014! It’s the beginning of a new year which means it’s time to think about new creative goals and aspirations. Maybe that means finishing up all those quilting and sewing projects you started but never finished. Maybe that means learning a new technique. Whatever it means for you, here are some ideas for creative quilting and sewing for the new year. The gifts have been unwrapped, you are putting away the Christmas decorations and the last of the holiday leftovers are finally gone. Some of us have a hard time jump starting our creativity and motivation after a seemingly endless season of holiday crafting. But there is no better time than the start of a new year to be inspired by learning something new. If you’ve been inspired by the Hexagon trend, maybe you would like to learn a new and easy technique for creating this wall hanging from quilt designer and author Jen Eskridge. 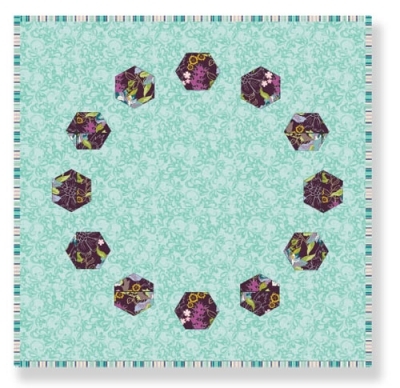 The gorgeous quilt kit provides you with enough fabric to make this wall hanging design featured on page 42 of Jen’s new book, Hexagons Made Easy. In this book you will learn to create stunning hexagon quilts and so much more–without Y-seams or hand sewing. Expert quilter Jen Eskridge makes it easy with a quick facing technique, a great alternative to English paper piecing. Are you a quilting beginner who is looking to try something a little more challenging this year? 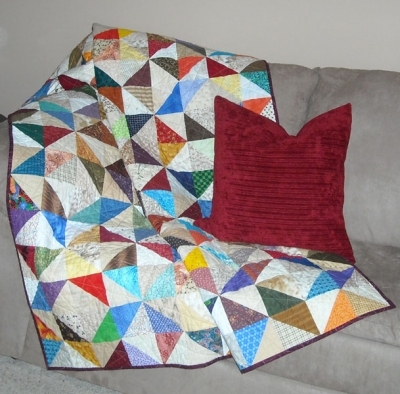 This Triangle Confusion Quilt Pattern is designed for the “advanced beginner.” This pattern will bust up that overflowing pile of quilting and sewing project scraps. The easy-to-follow, full color illustrations will help you finish this quilt in no time at all! 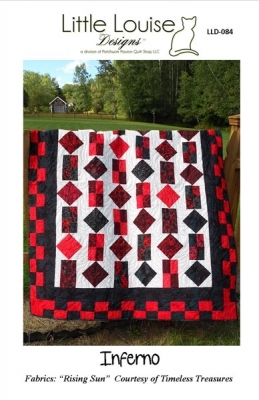 Maybe your list of creative quilting and sewing projects includes trying a “man-quilt” pattern. This pattern includes directions for crib to queen/king sizes with easy to follow, fully illustrated instructions. The cover quilt was made from the “Rising Sun” Tonga line from Timeless Treasures. Winter can be long and seemingly endless. Around the end of January, most of us are looking forward to warmer days spent outdoors. 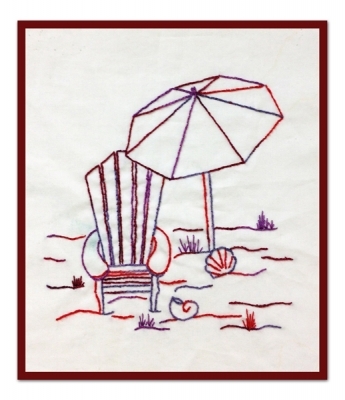 If you have been wanting to try a new technique, this embroidery pattern, called Relaxing on the Beach is an easy beginner pattern. The only stitch you need is the stem or outline stitch. 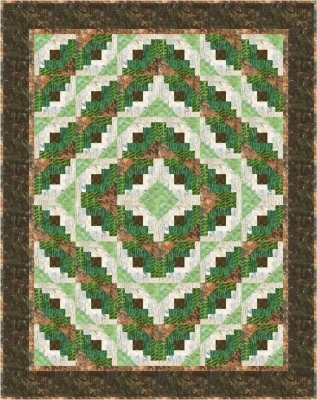 Use this design to create a stand alone piece of art or embellish a quilt, blanket, towels or other home decor items. Inspired to try some of these creative quilting and sewing projects for the new year? Visit QuiltWoman.com to order easy downloadable patterns or mail patterns. This entry was posted in Books, Fabric, Gift idea, Kits, patterns, QuiltWoman, Uncategorized and tagged embroidery patterns, Hexagons Made Easy, Jen Eskridge, new quilt techniques, quilt patterns. Bookmark the permalink.